Rotoplas Vertical Underground Tanks are manufactured to the highest industry standards. All of these tanks have been F.E.A (finite element analysis) tested by a qualified engineer and are designed to meet and exceed the requirements of AS1546.1. They are fully tested to 5kn top load and to a minimum buckle load factor of 1.4. We manufacture a range of high quality tanks that are designed to last. Our range of vertical underground tanks are widely used for sewage pump stations, lift stations, storm water pump systems and rainwater holding tanks. 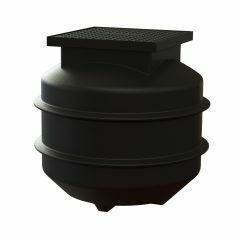 They are used for small residential rainwater storage, right through to large urban stormwater or sewage requirements. 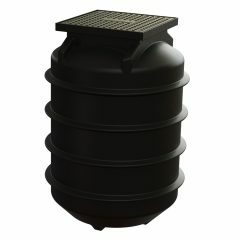 We manufacture 250 litre through to 5000 litre capacity underground tanks, available in black. 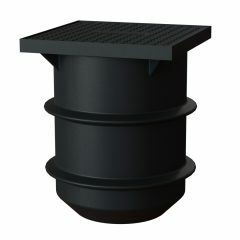 As part of our range, we also stock and supply Class B and Class D cast iron lids and poly pedestrian lids to suit.